Dutch Plantin started with the production of cocopeat over twenty years ago. The product quickly got the cultivators’ attention. They were pleased that there was a new substrate available that as well as organic, was also stable, airy and able to hold enough water. Potting soil producers also saw the benefits. They started using the coco in large quantities to improve substrate mixes. With the introduction of coco chips, Dutch Plantin added a new dimension to improvements in potting soil and the development of substrates. Since then there is a new addition to the assortment: coco-15. The number 15 represents the average length of the fibres, which is 15 mm. With the development of this product new growth opportunities have emerged. In recent years we have seen the application of the coarser materials take (an enormous) flight. We already had the coco fibre, a product that ensured good capillary action in the potting soil. Yet coco chips are being used more often. In orchid cultivation this has been the case for a long time, because of the need for a well aerated substrate. 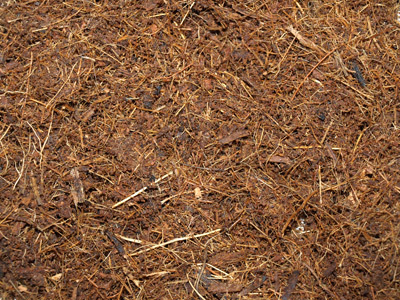 Currently coco chips are also being used more frequently in potting soil to improve the drainage and airiness. As well as the small and medium sized coco chips, we now have coco-15; a coarser material with an average fibre length of 15 mm, that is easily workable due to its measurements. Its application results in better drainage and aeration and also ensures good capillary action. When producing the coco chips and coco-15, it is very important to the select the right raw materials in the country of origin. The coco husks must be old enough to be made into stable coco chips. With the use of younger husks the chance of decomposition is greater, whereby the potting soils structure deteriorates rapidly. This eventually leads to a less airy mixture that ‘falls apart’ quickly. With the introduction of coco-15, Dutch Plantin has a valuable addition to our trusted assortment of coco chips.